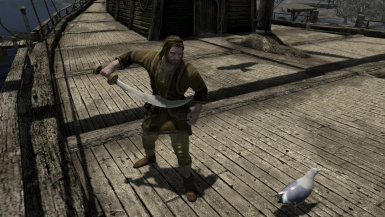 UIC provides a choice of class and subsequent class loadout in the start of the game, ranging from farmer to Alik'r to assassin to cleric. There are a total of 38 loadouts, each with unique advantages and skills. UIC also utilizes resources from many mods without annoying dependencies and requirements. Because of the nature of this mod I will not be allowing any adaptation nor modification of this mod. The redistribution of this mod is strictly prohibited. Contact me if you wish to contribute with translations. Bethesda for Skyrim and the Creation Kit! 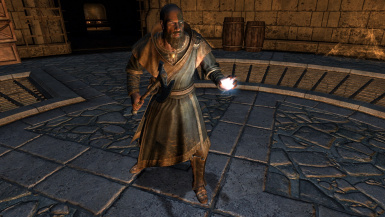 "Ultimate Immersive Classes" provides a choice of class and subsequent class loadout in the start of the game, ranging from farmer to Alik'r to assassin to cleric. There are a total of 38 loadouts, each with unique advantages and skills. UIC also utilizes resources from many mods without annoying dependencies and requirements. By identifying installed mods, such as Frostfall, on runtime UIC is able to provide the ultimate specialized class system. Designed for seamless integration, spectacular immersion, and definite compatibility. The classes include Commoner, Faction, Warrior, Thief, Mage, and Nomad. Each class has a multitude of loadouts to choose from. Each loadout has relavant armor, weapons, spells, potions, books, and more. Be sure to browse through your inventory after choosing your loadout because they have more items than just what you see equiped! 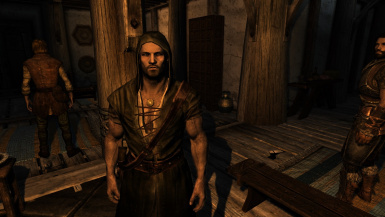 Commoners are the every day people who inhabit the cities and outskirts of Skyrim. 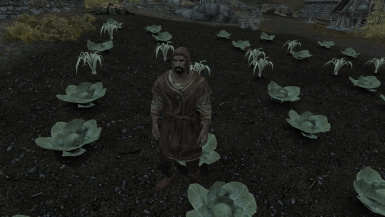 They are the backbone of Skyrim's work force and mercantilism. 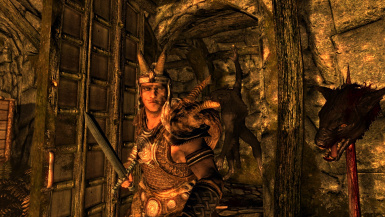 These starting sets focus a great deal on immersive role-playing, but can also be a huge help when starting in Skyrim's varios cities and mines. 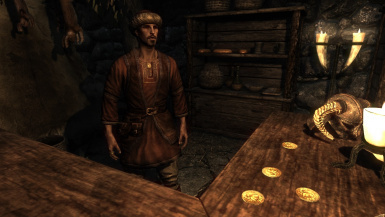 Take the merchant for example, they don't start off with any weapons, but they have some gold that you could spend on anything, or maybe use to get more money: "The rich get richer!" - Bender. Farmers are probably the hardest option, but don't let that stop you. Be a legend and play farmer mode! Miners get some resources and, you guessed it, a pickaxe. Blacksmiths get materials and other useful things to help them towards mastering the skyforge! The land of Tamriel is filled with various factions and guilds, each with their own history and influence. Some of these loadouts are native to Skyrim, such as the Forsworn and Silver Hand, while others hail from regions far away. 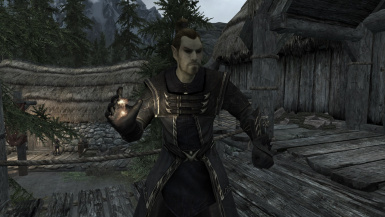 The Alik'r, a ruthless group of nomadic warriors from Hammerfall, are one of these factions, retreating to Skyrim due to the "holy war" in their homeland. The Psijic are an ancient order of Mystics from the Summerset archipelago and are reclusive worshippers of the Old Ways. 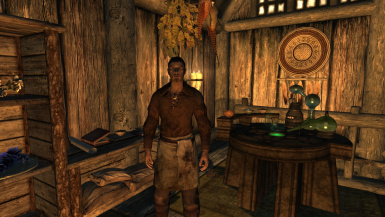 Imperials, Stormcloaks, members of the Thieves Guild, members of the Dark Brotherhood, and Companions are not featured in UIC because they are major joinable factions within the game. "Unafraid of light weaponry, they plow into the fray with little regard for injury. Masters of all melee tools, they put little faith in the magical arts." Berserkers, wardens, brawler, and knights are all wield the power of raw strength, asserting their might through sword and fist. Unafraid of large weapons and shields; warriors wear the thickest armor. Paladins and Dark Knights are warrior-mage dual classes, practicing opposing magical arts to one another. "Profiting from the losses of others is their love. Able to be swift in shadow, and crafty in bartering. Locks are enemies, and lock-picks are their swords." Assassins, the venomous serpents hired by Skyrim's infamous organizations, strike daggers into unsuspecting foes. Rangers are masters of distanced combat and can eradicate most foes before they have a chance to draw their swords. Equiped with a formidable array of arrows, rangers have countermeasures for all targets. Muggers are the intimadators, oppressing all disagreements and opposition, with or without armed conflict. Swindlers are lowlife dealers, with little respect from or for others. 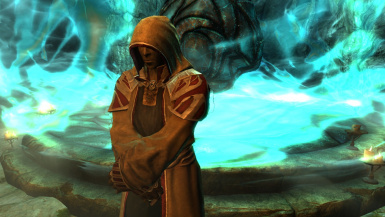 Agents and Arcrobats are thief-mage dual classes, representing surreptitious and ranged combat, respectively. "Preffering to use their extensive knowledge of all things magical, they wield a might more powerful than the sharpest blade." The wizard is a master of the arcane, not to be mistaken for a scholar. Destruction rains upon all during their anger, few withstanding their flame, chill, and shock. Sorcerers find magical power threw enchantments, wielding elemental weapons and arcane clothing. 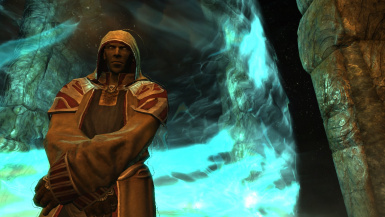 Wielding maces and magic, clerics are prepared to lend an helping hand when support is needed. Masters of healing, clerics can cheat death itself during and after a fight. 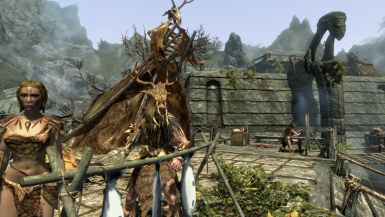 Necromancers raise zombies from the graves, except that dead stormcloak in the Helgen keep. He's immune, or rather his corpse is immune, lol wat. They specialize in death, whether it be undoing it or causing it. Illusionist rely on the weapons of their enemies, pitting even the strongest of foes against his own allies. Capable of disorienting and fooling foes into states of confusion, wrath, or absolute fear. Warlocks alter the matter of Nern, with skills ranging from turning gold to stone, surpassing any landscape or ocean, or even shielding oneself with magic. Little is known about the nomadic wanderers, other than their legendary survival skills. Constructing camps, besting weather, and living in any environment are their specialities. Equipped with fur and cloaks rather than steel, nomads are adept at besting one of Skyrim's most ruthless enemies: Cold. Designed for Frostfall, this loadout will keep you from freezing to death in Skyrim's northern climates. 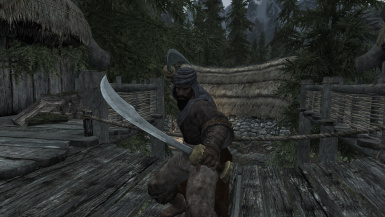 Sell swords are nomadic warriors who have excellent survival skills, yet still wield a sword with deadly precision. Hunters are nomadic thieves and pilgrims are nomadic mages. - NMM: No explanation needed, that's the point. - Sounds of Skyrim and Ultimate Immersive Classes are scripted to have their message boxes appear at the same time. 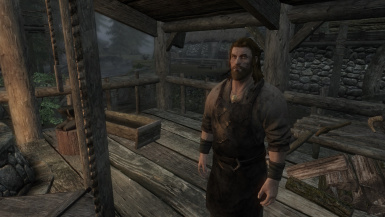 This means my mod may appear while sieving through Sounds of Skyrim's messages (and vice versa). No conflict, but it may be confusing. I'm working on these as we speak. These may or may not be present in the next release, but I plan to do them. - Give class loadout based items (rewards) when the player reaches certain points in the game (ex. Cool daggers for assassin when they hit level 40). Still undecided if I'll do this, but if I did I'd make it immersive and use the courier or a quest or something. - Werewolves and vampires? Maybe, still undecided. Probably not though, this is something for Alternate Start: Live Another Life. These are features that are only on my version and have not yet been pushed into a dev version. See top of page for ETA on version push. NOTE: None of these are required, but they will enhance UIC if they are installed. Some of these are not in the current release, but will be in a future release. NOTE: Has not been tested with latest IA version. NOTE: Ultimate Immersive Classes was designed with this mod in mind. They go hand in hand. 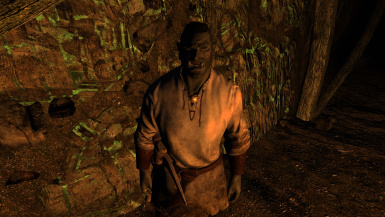 "Equipping Overhaul is a complete overhaul on Skyrim's system of swapping, equipping, and dropping items." "Death Souls adds a costly method to avoid death that is unique to Dovahkiin." "A simple main menu music replacer that changes the main menu Dovahkiin song to various other songs, including several works from Malukah." "Featuring dual arrows, cone arrow firing, hail of arrows. Be Legolas!" "Send messages via the in game courier to your friends in other worlds." 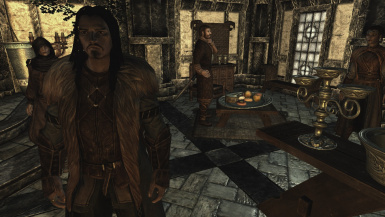 "Attend classes and lessons at the college of Winterhold, and later teach them for experience and income. Also featuring College of Winterhold quest line extension." "Weapons will degrade as you use them, like an inverse to improving items as a grindstone. Grindstones and whetstones can be used to get your items good as new, or give them to a smith to do it for you. Different things cause faster degradation, such as hitting enemies wearing heavy armour. Let your weapon become too degraded and it may break." - Bethesda for Skyrim and the Creation Kit! - Chesko for Frostfall! One of the best mods on the Nexus! - VaBhodi for Class Enchantments! - Hothtrooper44 for Immersive Armors and Immersive Weapons! - HeirOfTheSeptems for Blessings of the Hunt! - dlobo1999 for Master of Weapons! - Imp of the Perverse for Imp's More Complex Needs! - Solgath for requesting this mod! - VaBhodi!!!! Thanks a bunch! - Esoteric_Monk!!! I can't thank you enough!